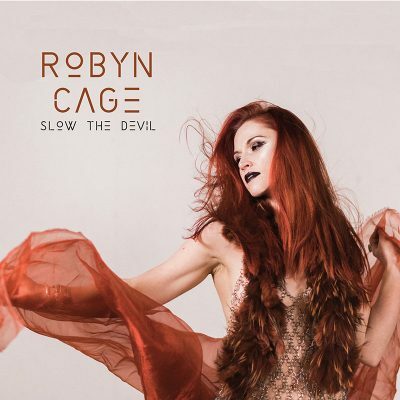 Robyn Cage is Utah’s resident musical tree sprite, crafting ubiquitously nature-infused songwriting and earthy imagery. Her siren-song style evokes the tempests of the wild in dense, often dark imagery, yet is grounded in an underlying narrative of hope and emergence. Having spent a week in the deserts of Southern Utah in isolation, Cage formulated the conceit of Slow The Devil, an album of juxtaposition. Referencing natural wonders blended with a fraught contemporary political and social climate, Slow The Devil is a tense meditation on the overarching atmosphere of divisiveness that Cage acknowledges is on the homefront.